Looking for a Valentine’s Day gift that isn’t the typical roses or chocolates affair? 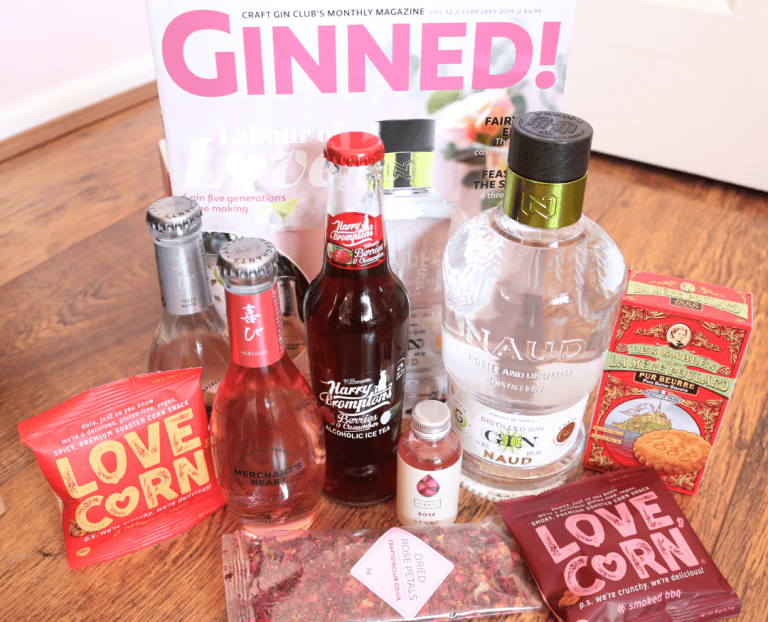 Why not gift a subscription to the Craft Gin Club? It’s the perfect option for anyone who loves trying new bottles of artisan gin every month! 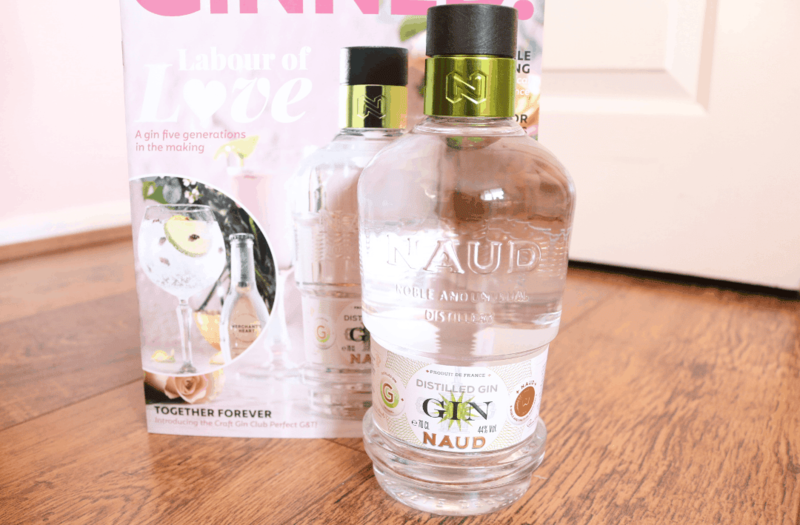 Specially imported into the UK from France just for Craft Gin Club subscribers, Naud Gin is an extra special gin as it’s been five generations in the making – a true labour of love! Distilled in Cognac, France, Naud represents everything that I love about France; the luxury style, the high standards and of course, their excellent taste in drinks. This gin in rich in several botanicals such as Juniper, Clove, Orris Root, Orange Bergamot, Cinnamon, Coriander, Angelica, Green Cardamom, Almond, Cubeb Pepper and Nutmeg. It’s no surprise then that when you taste this gin, you first pick up on those fruity notes with hints of Lime and then this citrusy aroma is translated to the palate. It’s fruity, spicy and very, very good! In this month’s Ginned! magazine, you’ll discover how to make the perfect G&T with Naud Gin, and you can also try garnishes such as Lime slices, Thyme flowers and seasonal herbs such as Rosemary to add those all important finishing touches. Tres Magnifique! A drink that you can enjoy on its own or with a splash of gin is Harry Brompton’s Alcoholic Ice Tea which is bursting full of Berries, Peach, Citrus and Cucumber flavours. I can imagine this being very popular come Summer time! 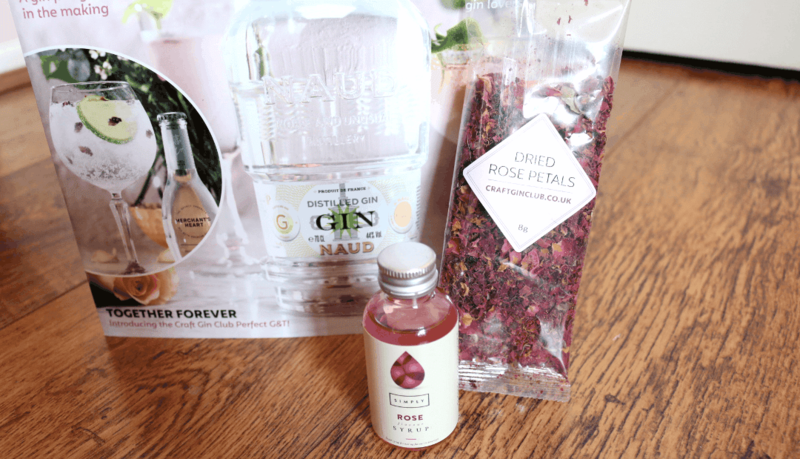 It wouldn’t be a Valentine’s Day box without some roses, and Craft Gin Club have included two floral delights that you can use as the finishing touches to your G&Ts this month. There’s a bottle of Simply Rose Syrup to add a subtle sweetness to your cocktails, and a pouch of Dried Rose Petals to make your drinks look Instagram-pretty. To complete the box, there are some additional treats to nibble on. 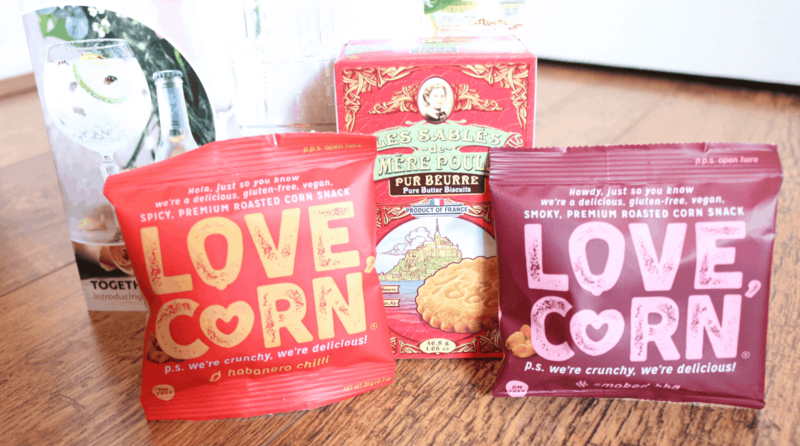 Two bags of Love Corn in Habanero Chilli and Smoked BBQ – both of these are delicious and perfect for when you want something savoury to go with your drinks; and a box of La Mere Poulard Beurre Biscuits, famous French biscuits with a sweet and buttery, melt-in-your-mouth sensation. Yum! 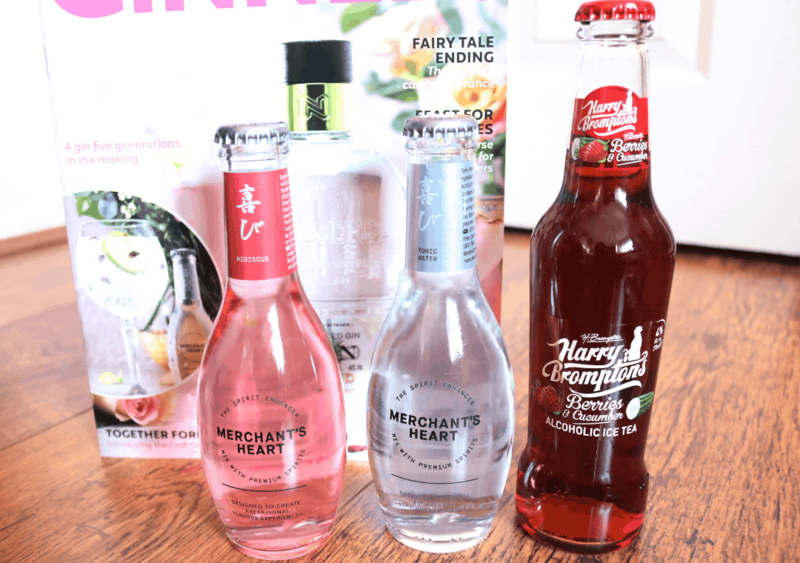 Worth £55, February's Craft Gin Club box is the perfect treat for Valentine's Day!